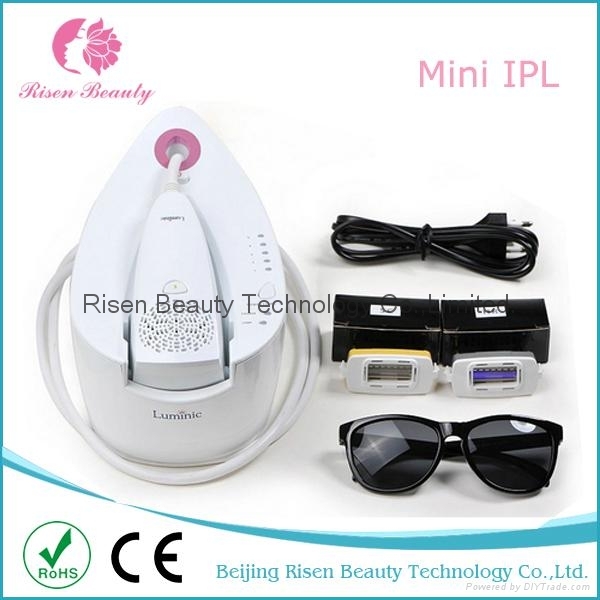 The IPL (Intense Pulsed Light Therapy) hair removal procedure produces a high intensity flash of filtered light from the applicator head, which has been placed in contact with the skin. The energy from the light source is absorbed by the pigment melanin, which is the chromophore, which gives hair its color. The hair rapidly absorbs this filtered light and transfers it to the surrounding cells that in turn are converted into heat raising them to a temperature of 70 degree Centigrade or more. The heating denatures the cells making them incapable of producing further hair growth. 1. 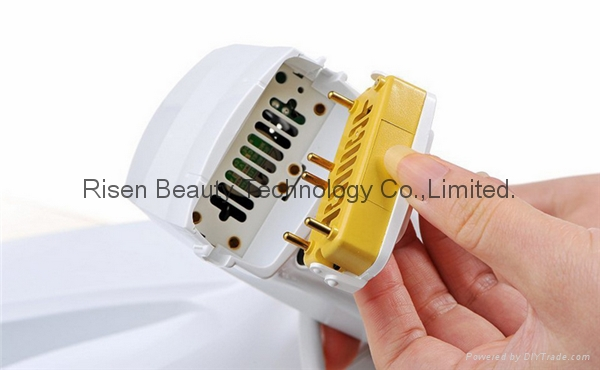 Come with two cartridges with two functions. Most of other come only one cartridge. 2. Real energy is much stronger. 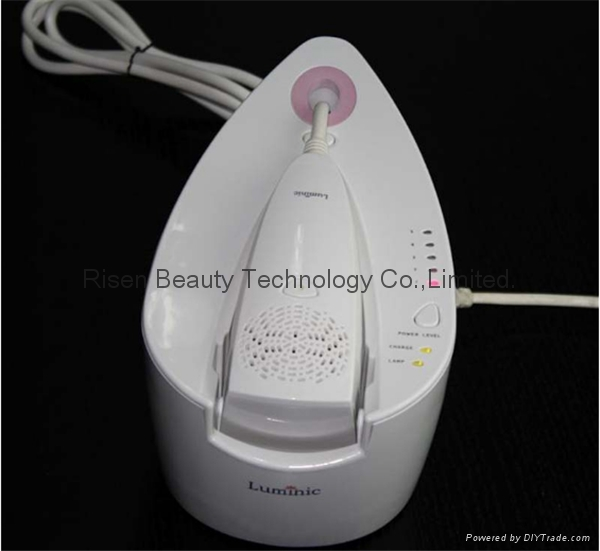 We tested different similar machines before selling. 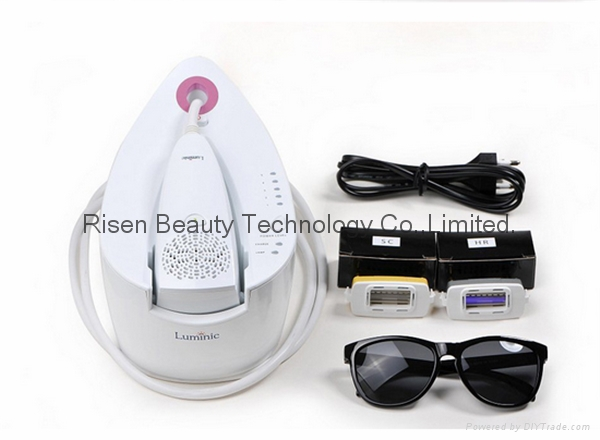 We found other cheaper machines energy is much weaker that need to turn to highest energy to do hair removal. 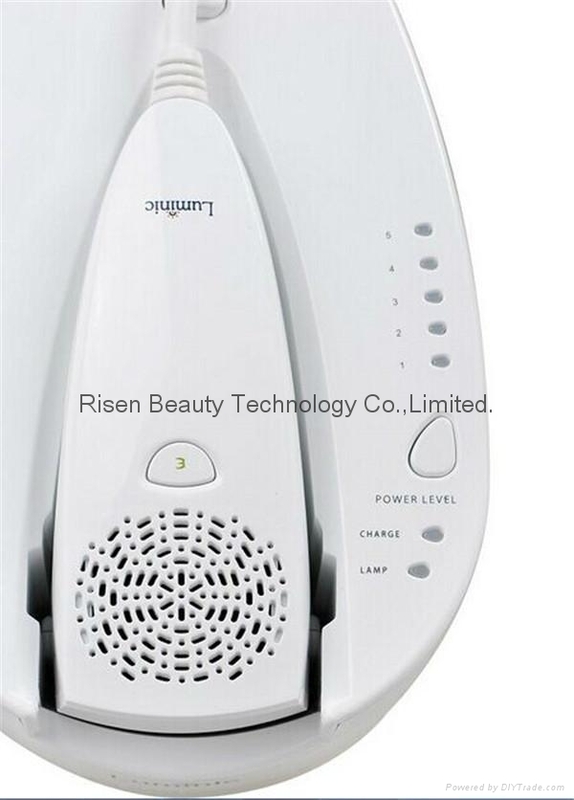 Our model can do hair removal even in low energy level. 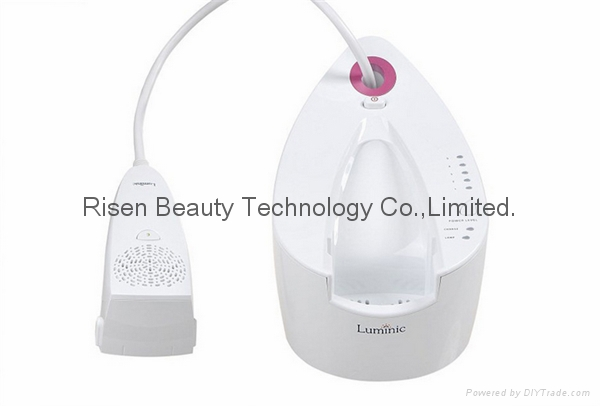 Good for small salon and home use. 3. Hair Removal Lamp Life is 50000 shots based on using it at strongest energy every shot. 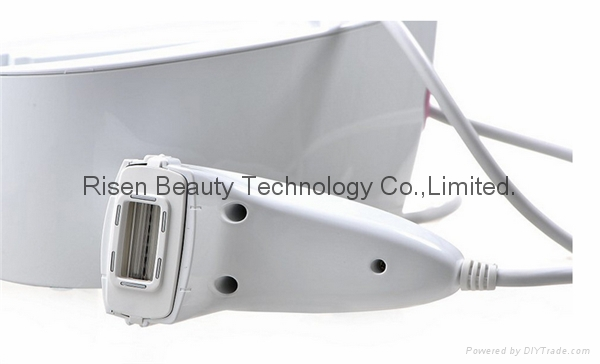 Real time will be longer as low energy level is already enough to do the hair removal treatment. 4. Can do double shot in one pulse started from energy level two. much effective in removing hair.